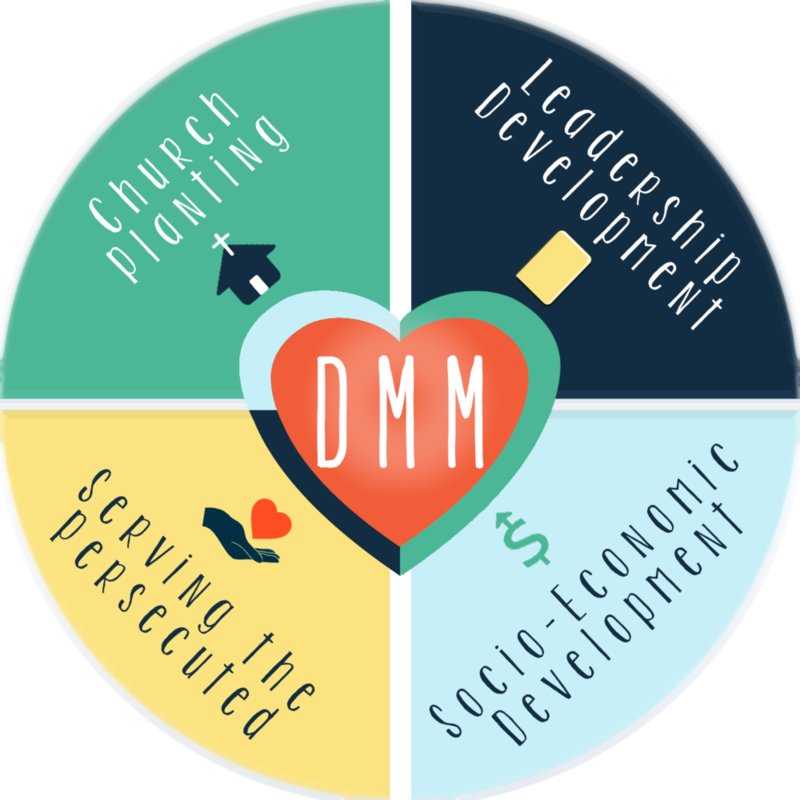 To disciple the nations on the path of practical love to eternal truth through the Disciple Making Movement [DMM]. To connect with the persecuted and marginalized communities in our regions. To meet the whole needs of individuals through developing socio-economic initiatives. And to return dignity to the unreached people groups of East Africa and beyond by equipping local leaders. is to serve as Jesus served by holistically discipling and developing communities, and to bring glory to God. Lifeway Mission International exists out of obedience to The Great Commission: to go and make disciples of all nations. Because we are indigenously led, we have access to areas and people groups that traditional organizations have been historically unable to reach. For 20 years, Lifeway has paved a way, where there are no roads, for the Gospel to be heard and experienced in the deserts of Kenya and beyond, amongst nomadic and unreached people groups. In the last 20 years, Lifeway Mission International has assisted indigenous people groups in planting 7,571 churches across 10 countries in Eastern Africa, impacting over 500,000 unreached peoples. Currently, we are involved with 94 of the 300 unreached people groups in the area, and that number continues to grow. We take a holistic approach to outreach by meeting people's basic needs, in addition to their spiritual needs. By drilling wells, coordinating and executing food distributions, and offering micro-finance loans to empower women, Lifeway desires to breakdown many of the barriers people have in developing nations to entering relationships with Christ. Starting in the desolate deserts of Northern Kenya, Lifeway has expanded into 10 countries over the last twenty years. Through medical camps, drilling of wells, food distributions, micro-finance loans, and leadership training, Lifeway focuses on meeting both the physical and spiritual needs of the people they serve. Whether it is a church on the back of a camel roaming around with nomadic tribes, or a permanent gathering spot, Lifeway equips local leaders to plant churches amongst their native people. Disciple Making Movement is the heartbeat of Lifeway because we strive to serve as Jesus served. Throughout the Scriptures, we see that Jesus preached the Gospel, He trained His disciples, He cared for the needs of the oppressed, and He met the physical needs of the poor. The Four Wheels of Lifeway models itself after Jesus' ministry by taking a holistic approach to outreach and development. Jesus said "I will build my church . . . " (Matthew 16:18); therefore, we are not the church builders, but the catalysts. We believe our calling is to plant the seed of the Gospel with those we encounter. A church emerges as a natural and spontaneous response to that seed growing through effective discipleship when men and women decide to gather together for prayer, worship, fellowship, baptism, and accountability. Jesus was persecuted. He warns, "If the world hates you, know that it has hated me before it has hated you" (John 15:18). Lifeway exists in regions where they encounter religious persecution on a regular basis. The regions where Lifeway exists encounters religious persecution on a regular basis. The people groups we are reaching, are historically animistic tribal religions or come from devout Muslim backgrounds. Because we have faced persecution and excommunication in many forms, we are committed to serving the persecuted church. Jesus equipped an unqualified group of fishermen, tax collectors and ordinary flawed people to be the leaders of the early church. Throughout Jesus' gatherings and teachings, we see how He qualifies the called by training and developing His followers into leaders of the faith. We believe education is a catalyst for development, so our initiatives include regular trainings and targeted educational events. Jesus fed the hungry; He healed the blind. Lifeway mirrors Jesus' example through socio-economic development projects. We believe that to love people, we must care for both their spiritual and physical well-being. To break down barriers of acceptance, Lifeway is involved in humanitarian relief projects, as well as micro-finance and business endeavors to break the cycles of poverty. There are many ways to be involved with Lifeway Mission International, and we rely on your partnerships to continue the work that has already started amongst the unreached people groups in Eastern Africa. Whether it is funding socio-economic development initiatives, participating in leadership trainings, donating supplies, or making a generous monthly donation, we joyfully praise the Lord for your involvement. Learn more about the Four Wheels of Lifeway to know what specific projects you can directly support. We are always looking for volunteers who are willing and called to give of their time and talents to serve the unreached people groups. We are continually humbled by your generous donations that allow us to continue our mission. By subscribing, you agree to receive emails from Lifeway Mission International.